About to two powerful politicians in Borno state and a traditional ruler have been arrested by the men of the army over suspected links to Boko Haram terrorists. The names of the politicians are being withheld but TheCable reported that they are close associates of an APC governor. The third - a traditional ruler is also said to be the first son of another prominent ruler in the state. 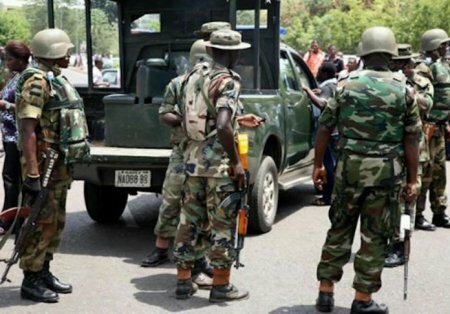 The Cable reported that the latest arrests were confirmed by Lucky Irabor, a major general and Theatre Commander of Operation Lafiya Dole, the counterinsurgency team of the army without further details. “It is true we have arrested some people. They may be known faces. We started picking them one by one. We’re taking them now and we are still investigating them so I can’t give you any detail,” he said. The politicians were arrested early this week by detectives and troops from Operation Lafiya Dole. One of them, who is also an Islamic spritualist, fled the state but was arrested along Maiduguri-Jos road, sources told TheCable. The second politician was said to be a thug (called ECOMOG) and an aide to some politicians in the state.